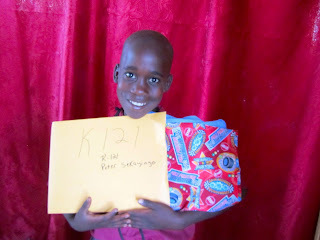 My mind and heart is with this little boy that we sponsor in Uganda. Today, the "team" is bringing the goodies we packed up for him, and I wish I could see his smiling face as he opens each and every gift we sent! That is so nice. Lovely. Awesome! How nice of your family to do this and that they actually send pictures. Stopping by from the Facebook Group Blogger Resources & Opps!